Announcements from the Computing Research Association. Simmons University has announced the appointment of Marie desJardins, as Dean of the College of Organizational, Computational, and Information Sciences. desJardins is a former CRA board member and current chair of the CRA Dean’s Group. 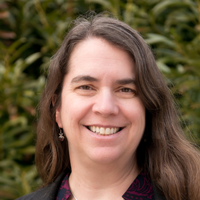 In her new position, desJardins will work with faculty, students, and the Simmons community to build a new interdisciplinary college to integrate computational disciplines, traditional and digital information sciences, and the business school, approaching entrepreneurship and leadership in a new, more robust way. 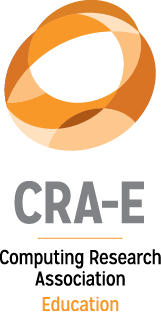 Greg Byrd has been appointed the new IEEE-CS representative on the CRA board of directors. CRA Executive Director Andrew Bernat, has been named a Fellow of the American Association for the Advancement of Science (AAAS). In addition, CRA board member H.V. Jagadish and former board member M. Tamer Özsu were also named AAAS Fellows. The ACM recently named 54 of its members as ACM Fellows for transformative contributions and advancing technology in the digital age. Faculty members are invited to nominate a graduate student by January 29, 2018. The CRA Taulbee Survey is in progress. The deadline for the salary section is November 20 and the deadline for the rest of the survey is January 8, 2018. On December 12, CRA will host a Summit on Technology and Jobs in Washington, DC. Applications are now open until October 15 for the inaugural CRA URMD Graduate Cohort Workshop, which will be held March 16-17, 2018 in San Diego, CA. The deadline for nominations is October 27. The deadline for receipt of nominations for both awards is December 8. 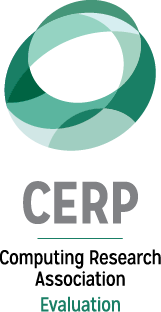 CRA-Women invites nominations for the Borg Early Career Award. The award honors the late Anita Borg, who was an early member of CRA-W and an inspiration for her commitment in increasing the participation of women in computing research. The deadline for nominations is February 15, 2017. Are you a faculty member interested in being a research mentor or do you know students interested in exploring research? The DREU program matches students with faculty mentors for summer research experiences at the faculty mentor’s home institution. Applications are currently open for both students and mentors. The application deadline is February 15, 2017. Among those elected were Julia Hirschberg, CRA-W co-chair and former CRA board member, and Katherine Yelick, CCC council member. CRA recently was a sponsor and participated in the De Lange Conference on Humans, Machines, and the Future of Work, which focused on the impact of the amazing technologies being developed by the computing research community on the nature of work and employment. The conference was held at Rice University with primary funding from the De Lange Conference Fund at Rice, which brings top experts and major figures to its campus in order to focus on a topic of great concern to society. Videos of the event have been posted here. 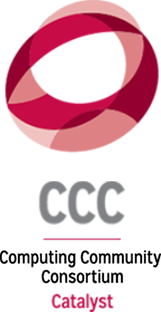 The Computing Research Association invites nominations for the 2017 CRA Distinguished Service Award and A. Nico Habermann Award. Both nominations are due December 9. CRA presents an award, usually annually, to a person who has made an outstanding service contribution to the computing research community. This award recognizes service in the areas of government affairs, professional societies, publications or conferences, and leadership that has a major impact on computing research. CRA presents an award, usually annually, to a person who has made outstanding contributions aimed at increasing the numbers and/or successes of underrepresented groups in the computing research community. This award recognizes work in areas of government affairs, educational programs, professional societies, public awareness, and leadership that has a major impact on advancing these groups in the computing research community. Please share these opportunities with your students. The upcoming CRA-Women Graduate Student Cohort (Grad Cohort) will be held April 7-8, 2017 in Washington, D.C. Grad Cohort is a two-day workshop for female students in their first, second, or third year of graduate school in computing fields. The application is available here and closes November 30. 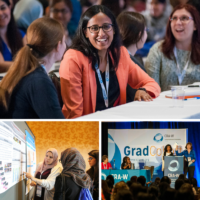 The workshop aims to increase the ranks of senior women in computing-related studies and research by building and mentoring nationwide communities of women through their graduate studies. During CRA-W’s Virtual Undergraduate Town Hall webinar, students from around the world will learn about cutting edge research in the field of computing, and ask questions to distinguished computer scientists. The next event will be held October 13 at 7PM EST. Click here to register. Ruzena K. Bajcsy, the 2003 recipient of the CRA Distinguished Service Award, recently received the 2016 Simon Ramo Founders Award from the National Academy of Engineering.